Rosetta steps can make your project come to life with creativity and style where it may not be expected. With over 65 unique combinations of size and color Rosetta is ready to bring your next step project to life. 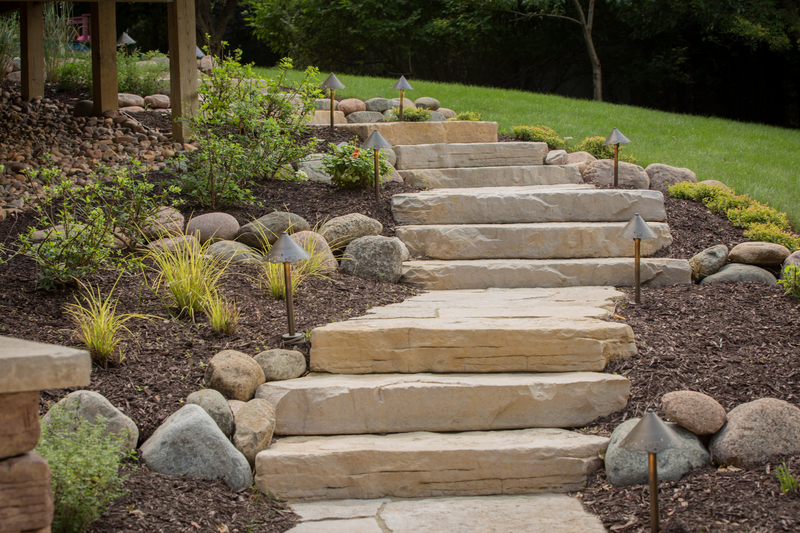 Our Irregular steps come blended on a pallet with sizes ranging from 3.5' - 5' molded after their natural stone counterparts. The consistent 7" rise, non sharp edges, and texture on each surface is what sets your steps apart from your competition. 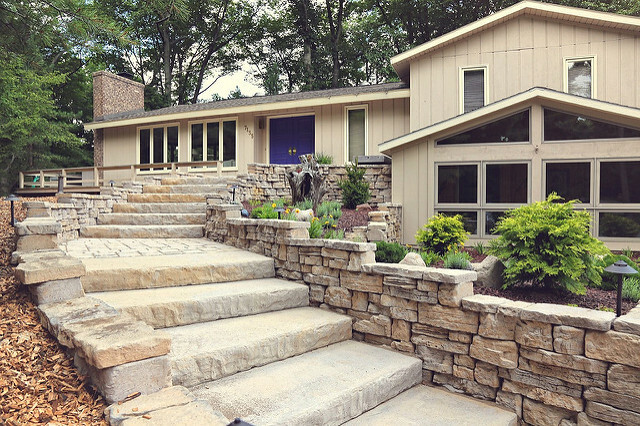 For more of a consistent size working between walls or fixes points, our 6' irregular step offers all of the same length step on each pallet with more squared ends. The Dimensional step line is equally as impressive with sizes ranging from 3' in length to 6' in length and up to 30" in depth. With unique textures on each side of the step, you have the ability to eliminate repetition and turn the block around for maximum variation. The consistent 7" rise will create a comfortable step height and meet standard building codes while making it easy to calculate the exact number of needed.